Finished Fellowship of the Ring! Sam is out with Gramma and Richard on one of their nearly daily runs to ACE and Home Depot (!). 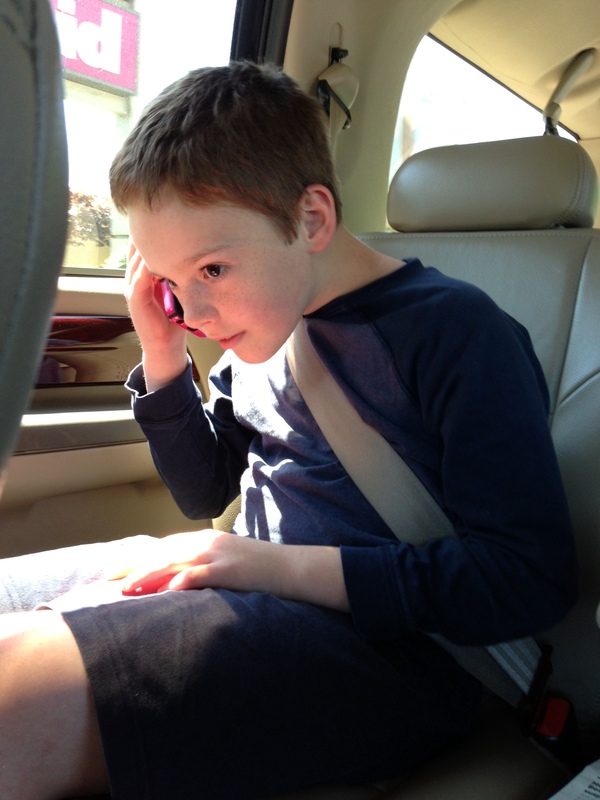 He’s on the phone with mommy to share the great news! Now he is on to The Two Towers and I get to follow along with Fellowship of the Ring. These kids (and their dad) are getting me to finally read some good stuff. Still working on a backyard forest theater production of The Hobbit with neighborhood co-producers (kids). Very challenging, but fun! 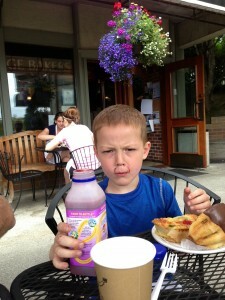 Lucky us to be here in Bainbridge Island to soak up he life and kids! What awesome kids you have! Miss you guys. Can’t wait to here how The Hobbit play turns out! Miss you my friend! Sam, great news about completing the book and your interest in reading! Ben, I think I like blueberry smoothies also; have you tried pineapple smoothies yet, good also! Allison, What a blessing you are to the boys and to the neighborhood. Well wishing for the Hobbit. Love to all including Dave, Gordon, and of course Merlin.